Markets shift, economies change, and the unexpected happens. In our fast-paced world, we believe it’s important that investors not only have confidence in their financial plans, but understand the strategies in place as they diligently pursue their goals. While providing extraordinary service, we have access to quality investment and insurance products from the world’s leading financial institutions. While our plans are always customized with your unique needs in mind, our commitment extends beyond helping you achieve your objectives. We believe that our clients deserve strategies crafted with their best interests in mind. Placing your needs above our own, we strive to grow and protect your wealth so you can focus on what matters most. As part of our commitment to your success, we allow you to select your preferred form of compensation. By offering fee based and/or commission based compensation, we give you both flexibility and choice. 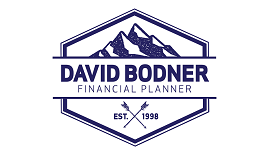 Our approach to comprehensive financial planning allows us to spend more time with you and truly understand your goals.